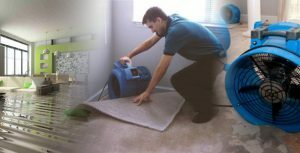 Water damage restoration Atlanta: Water damage happens quickly, without any notice and can cause large amounts of damage. Most people consider water damage to be one of the most disturbing types of damage you can ever have. This is because it can be hard to simply look and know the extent of the damage that has been done to your home. Our professionals specialize in water damage dry out in Metro Atlanta and surrounding communities. We provide emergency services 24 hours a day, seven days per week to get you out from under water quickly. Then we explore the damage, determine the full extent of the work that needs to be done, and dry it out before any further damage is incurred.